US-based Kickstarter & Indiegogo may boast the lion’s share of crowdfunding campaigns worldwide, but the projects these platforms allow to raise money from individuals are certainly internatinalizing. Most recently in France, Lima (formerly Plug) surpassed their $70K crowdfunding goal for their NSA-proof cloud storage in a little under 24H, and have now joined the elite top-10 largest crowdfunding tech campaigns, alongside Game console Ouya among others.Another trailblazing European Kickstarter campaign has been iBlazr, the worlds first synchronized LED flash for smartphones and tablets. It is small, powerful, and a multifunctional device. It works with iOS and android devices with both front and back cameras. Also we invented a special flexible charger to expand it’s possibilities even further. Why did you decide to Crowdfund? Why Kickstarter? Crowdfunding gives you much more than financial support. We now have a large community, receiving investmentproposals and distribution enquiries from trusted online and offline stores. I think project owners should treat crowdfunding as a test of the idea and how you can reveal the potential of the product. How long did it take to pass your initial campaign goal? To what do you owe your success? Our campaign is really successful, we’ve passed our $58K goal in just ten days! But kickstarter is not a place where miracles are happen. We’ve been developing the hardware and software for almost a year, our first prototype was made 6 month before the kickstarter launch and we’ve worked really hard to get what we have now. Also, I should mention that the success of the campaign is heavily associated with your abilities to get to the high ranked news IT blogs. We’ve been working on PR for a month before we launched the campaign. Do you feel a bit of pressure to deliver now that you know you will receive the money? When do things “kick off” ? Yes, right after we passed our goal I found myself thinking – “alright, the easy part is done, now we will have to make that real”. Crowdfunding is about the trust, when you have more than 2000 backers- that means thousands of people trusted you their hard earned money and that really motivates to make the best product you can to justify those trust. 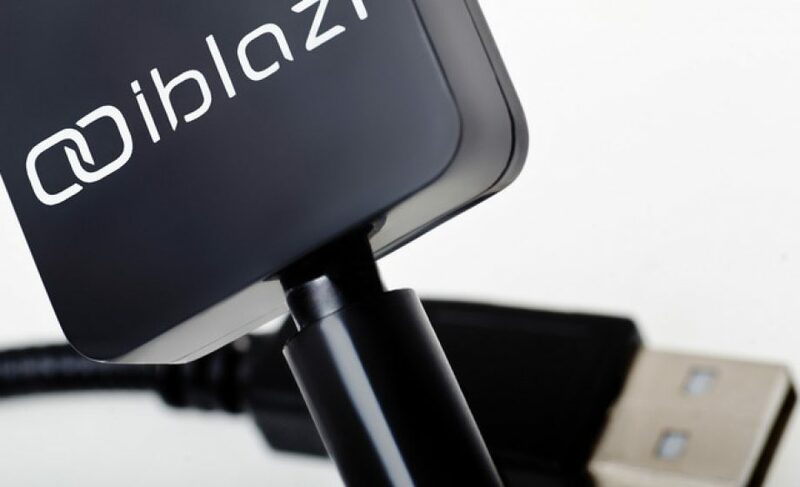 We will ship the iblazr’s to backers in December. Will the product eventually be available for general purchase? Our main goal to get to the store shelf’s before the New Year, but the price is expected to be higher than kickstarter one.